I love writing. I journal almost everything from elementary to college until I found that tool called blog. Back then, blog isn’t a tool for marketing. It’s my own space of sharing whatever from my own recipes to random musings. And then 3mpStudio came. I couldn’t combine my type of blogging at that time with the business. So, writing for 3mpStudio, I have to dig deeper on the topics I should write about that relates to my services. Familiarizing myself and researching gave me the quality content I need to broadcast to my target audience. But there are many factors that contribute to the success of content marketing strategy. In this article, we’re going to focus on one of those factors – effective writing. If you truly want your content marketing efforts to succeed, then you need to know how to write effectively and communicate directly with your audience. Writing content is so much more than just typing a bunch of words, sentences, and paragraphs on a word processor. It’s about cohesively bringing to life your ideas and your thoughts in such a way that your audience will find it extremely valuable and helpful. Doing keyword research is important, too. Knowing which keywords to target and knowing the search volume for each keyword will give you an idea of the topic’s overall demand. Of course, with search engines becoming smarter every single day, keyword research is more of a guide than anything else. But it’s still powerful, especially if you uncover profitable keywords that not too many people are writing about! To write effectively, you need to put your content’s message front and center. The best way to go about this is by storytelling. People love stories. Your message will be easily understood if you wrap it in a story. Use your introduction as a hook to capture people’s interests and keep them scrolling down your page. When writing for the web, it’s also essential to break down your content into an easy-to-digest structure. With the plethora of content online, people have become masters at scanning content. They’ll scan through the subheadings until they find the section they’re interested in. So, make sure you use this strategy when writing your content. Permalinks: Change your WordPress permalinks to “Post Name” structure so search engines can easily index your website pages. Do a keyword research to find out what people use to search for a term that relates to what you offer or your type of business. Hint: you can check out the keywords your competitor uses. Focus Keyword: On Yoast SEO, the focus keyword is the search term you want your page/post to be rank for. You can use long-tail keywords that are found on your blog article. Don’t use a keyword that is not even mentioned on your article. Read more from Yoast Guide here. Amplify it! Once you post your blog, amplify it via social media. Post it on your facebook, get others to share it. Share it on your email or create an RSS feed email (you may have receive this blog post via RSS feed email). As you amplify it, you gain solid links back to your website and “gain popularity”. When your popular, well…Google may come back and have some coffee reading your blog (pun intended). 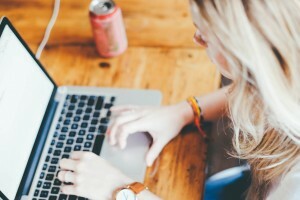 If you’re using WordPress, you can use install a free plugin called Yoast SEO (https://wordpress.org/plugins/wordpress-seo) which offers tools to make your pages and posts search engine-friendly. It won’t matter how effective and valuable your content is, if search engines cannot find it!